Government Telecom Company Bharat Sanchar Nigam Limited has extended the validity of the bumpers offer till January 2019. Under the offer, BSNL will now provide an additional 2.1 GB data to its users. Recall that before the 2.2 GB additional data was being given, it was believed that the BSNL Bumper Offer was valid till November. But after the receipt of a tremendous response, the validity of the BSNL bumper offer was increased. Explain that this offer is valid only for a select plan. 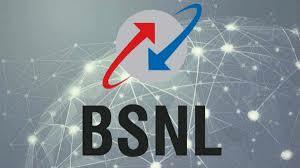 According to the report of the Telecom Talk, BSNL has added two plans of Rs 1,699 and Rs 2,099 to the bumper offer along with increasing the validity. For the validity of 365 days, Rs 1,699 and Rs 2,099 will come with 2 GB and 4 GB data per day, respectively. This means that now the user taking a plan of Rs 1,699 will get 4.21 GB of data per day and 6.21 GB data per day for the user taking the plan of Rs 2,099. Note that, under the BSNL Bumper Offer, 2.1 GB data is available in the other plan, but both of the above-mentioned plans will come with 2.21 GB additional data. New users of BSNL will get the benefits of 2.1 GB data per day, only for Rs 186, Rs 429, Rs 485, Rs 666 and Rs 999. Existing BSNL users will get the benefit of additional data with a plan of Rs 187, Rs 333, Rs 349, Rs 444 and Rs 448. A total of 3.1 GB data will be given in the plan of Rs 186, this plan comes with the validity of 28 days, with 1 GB of data per day. The thing to note is that there has not been any change in the validity of the prepaid pack. Plans for Rs 186, 28 days, plan for 429 rupees 81 days, plan of Rs 485 come with a validity of 90 days. A plan of Rs 666 for BSNL will be available for 129 days and Rs 999 with the validity of 181 days.